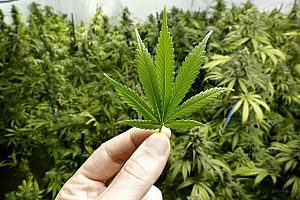 How Do I Insure My Cannabis Property? The marijuana industry is evolving at a rapid pace. Help protect your investment with the right type of cannabis insurance. Insuring your business for professional liability, general liability, and direct physical loss can minimize the damage caused by possible damage and lawsuits. Property damage is one of the most important forms of cannabis insurance for businesses involved in cannabis grow operations. Property insurance is designed to help cover the cost of damage incurred to buildings and its content. Learn more about property insurance and why you should insure your cannabis property. 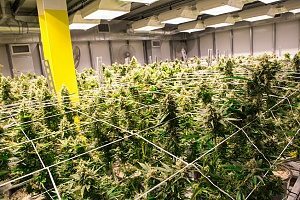 Commercial property insurance is made to cover all types of commercial property, including cannabis grow operation facilities. With property insurance, your business is protected from a variety of perils, such as natural disasters, fires, and theft. Property insurance is typically carried by all brick-and-mortar businesses, including retailers, manufacturers, not-for-profit organizations, and service-oriented businesses. While commercial property insurance can be costly depending on the type of equipment you own and the property’s worth, businesses are able to deduct the cost of commercial property insurance premiums as expenses which can help save a great deal of money. Location: The location of your cannabis growing operation will play a vital role in the cost. Buildings located within cities or towns that have adequate fire protection generally cost less to ensure then buildings located outside of a city or town with limited fire protection. Construction: In addition to the location of the business, you will want to consider how the building was constructed. Buildings that are made of potentially combustible materials will typically have higher premiums then more modern buildings made of fire-resistant materials. Internal structural components can also affect a building’s fire rating, such as wood partitions, stairways, and floors. Use and Occupancy: How a building is used will majorly affect the cost to have it insured. For example, a building with hazardous tenants will cost more to ensure than an office building with professionals. How many tenants or occupants in a particular building will also factor in when determining costs. Theft and Fire Protection: How well your building is protected will be considered when estimating pricing. For example, is your building equipped with a fire alarm and sprinkler system? Is there a security system in the event of a theft? How far is the nearest fire hydrant to the building and is there a fire station nearby? The success of your cannabis grow operation is always at risk by unforeseen and unpredictable circumstances. From a broken down piece of equipment to a failed product, even a small problem can quickly become a costly one. Property insurance is one way to help safeguard your business from the unknown. For property managers and landlords of cannabis operations, protection is required for property loss or damage. Property insurance can help protect your business’s finances by covering the cost to replace, repair, or rebuild property. As property can be very expensive to replace, it is crucial to have adequate insurance to ensure that your cash flow is minimally affected. There are a number of risks that business owners face when running cannabis-related operations. One of the most significant types of property damage that can occur with these types of operations relates to moisture intrusion in the ceiling, flooring, and wall materials. The irrigation of plants, leaking plant pots, and simple water condensation on interior surfaces can result in moisture intrusion. The humid air from the greenhouse-like environments can contribute to moisture buildup. If not properly prevented, this moisture intrusion can create widespread mold growth. Another major form of property damage common on cannabis properties includes damage to bathrooms, kitchens, and other plumbing utilities. 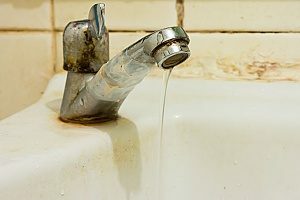 Drainage system backups can sometimes occur when staff members try to flush soil or plant debris down drains or toilets. Plant fertilizers, insecticides, and various insect infestations can contribute to the damage. Certain hazards and damage can also be caused by renovations made for the cannabis business, such as holes cut into walls and ceilings for the installation of ventilation systems. Electrical, heating, and cooling systems can be disturbed if the project is not completed by experienced professionals. Fire is also a major concern among cannabis business owners. Exploding grow lights, overloaded transformers, and similar events can cause fire hazards. If a fire does occur, all plants, equipment, and various inventory on site would quickly be destroyed. Theft, both physical and digital, is also a major risk to consider. In the physical form, thieves can ransack your business stealing money, property, and equipment. In the digital sense, an online hacker could break into your business records stealing private data and customer information. It is important to have the proper safeguards in place to help prevent major financial losses from occurring. The rapid growth of businesses involved in the cannabis industry signal the strong need to increase the number of growers, retailers, and dispensaries throughout the United States. However, like with all businesses it is important to protect against unforeseen liability that could potentially threaten the existence of your growing business. Having the right commercial property damage policy in place can help significantly reduce your risk and help cover the cost to repair, rebuild, or replace damaged buildings and their contents. For more information about property insurance, contact a professional cannabis insurance broker today.